Bend Pickleballers are fortunate to have 16 world class outdoor courts. Our state-of-the-art indoor facility has eight indoor courts. With almost 50,000 square feet our dual-sport facility will house the Trampoline Zone & Adventure Park on the ground floor and the Pickleball Zone on the third floor. Trampoline Parks are extremely popular and successful and Pickleball is the fastest growing racquet sport in the country, making our venture a win-win combination. 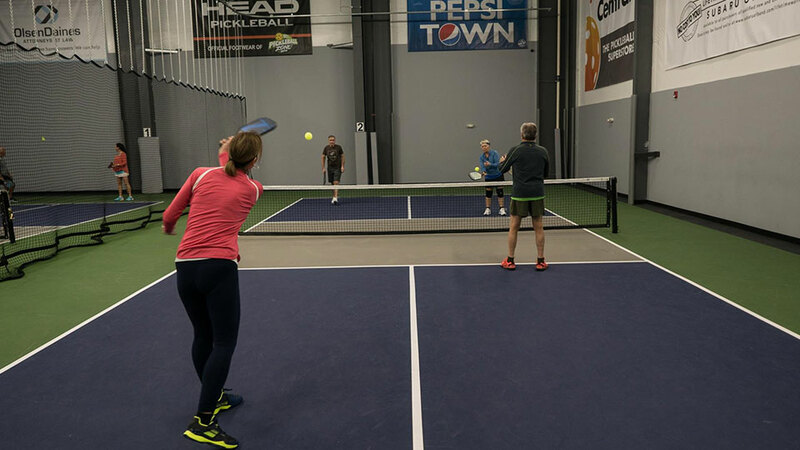 The Pickleball Zone features a reception & changing areas in the center of the third floor with 4 dedicated Pickleball courts on either side and a fourth floor viewing area and lounge with indoor and outdoor seating.